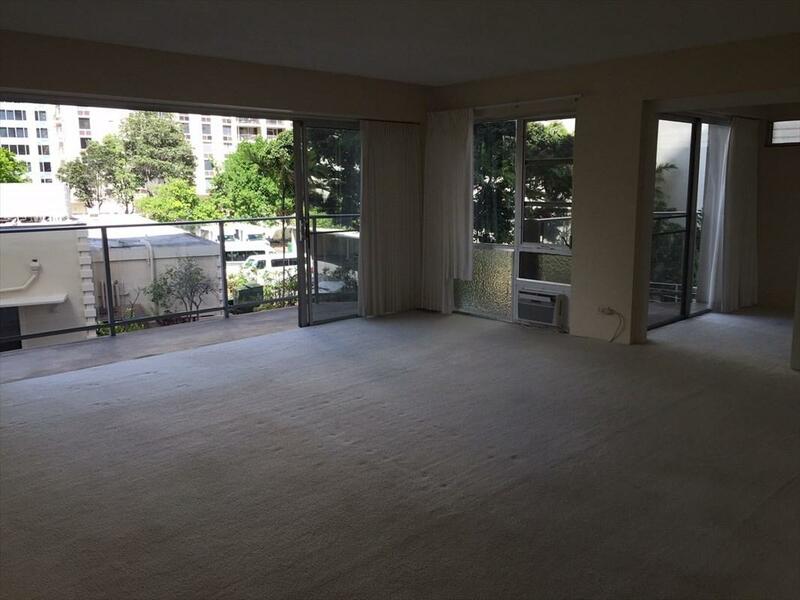 Marina Towers, 1645 Ala Wai Blvd, #201, Honolulu, Hawaii 96815 Sought after Marina Towers two-bedroom condo with view of Ala Wai canal. Desirable well managed building, mostly owner occupied, with secure entry and on-site manager. Corner unit with two lanai and lots of windows so very bright. One assigned off street parking. Waikiki West End near Ala Moana. Quiet location with low street noise and on the cool, breezy North side of the building. Large wide-open living room (20x16) with wall to wall glass and wide sliders to the generous lanai. 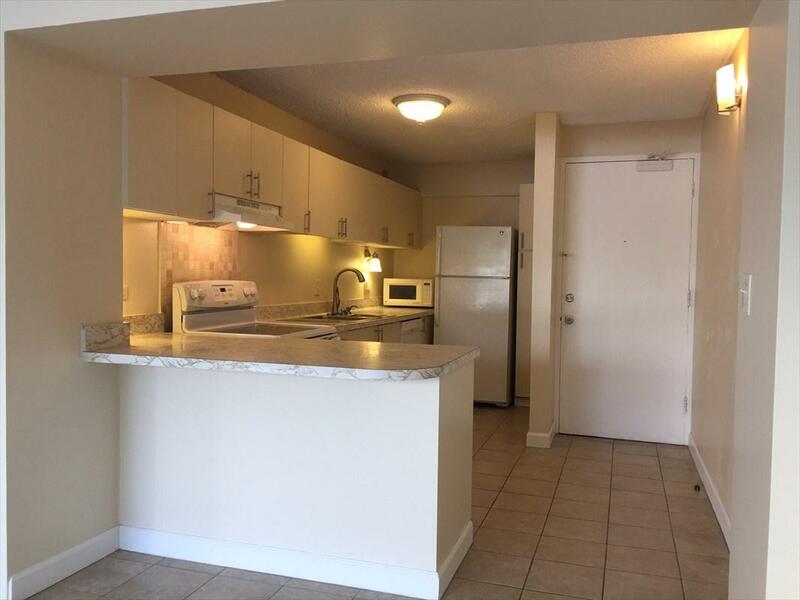 Kitchen is open to the living room and has near-new appliances, double stainless sink, dishwasher and ample cabinet space. Master bath has an extra closet. 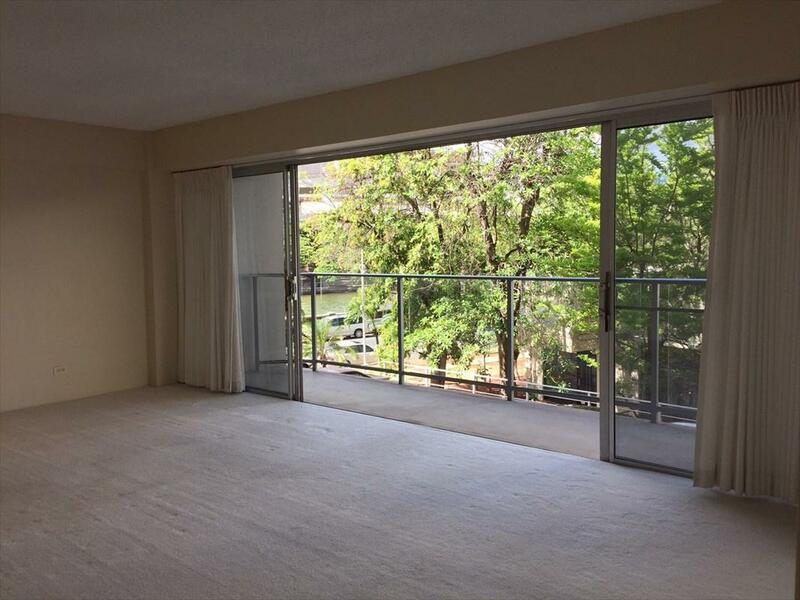 Air Conditioned and in-unit washer and dryer.Large open-air atrium lobby with koi pond and fountains. Pool with expansive outdoor lounging/entertainment area, exercise equipment, gas BBQ, lockable storage + bike and surfboard storage. Food Pantry Market, Eaton Square Shops and many restaurants just steps away. 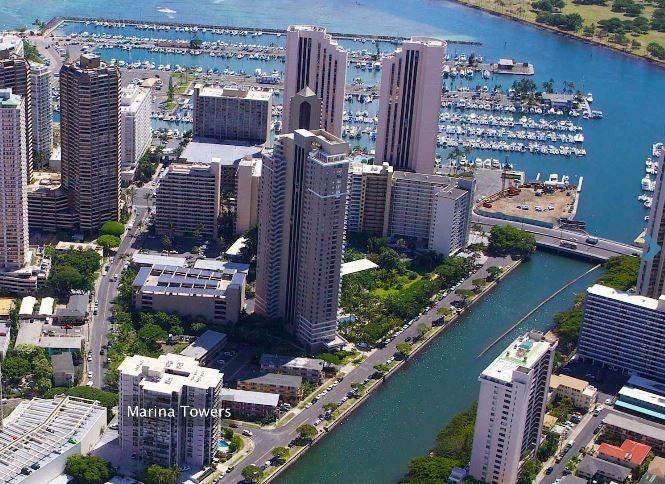 One block to marinas, two blocks to Ala Moana Beach Park and Ala Moana Mall.